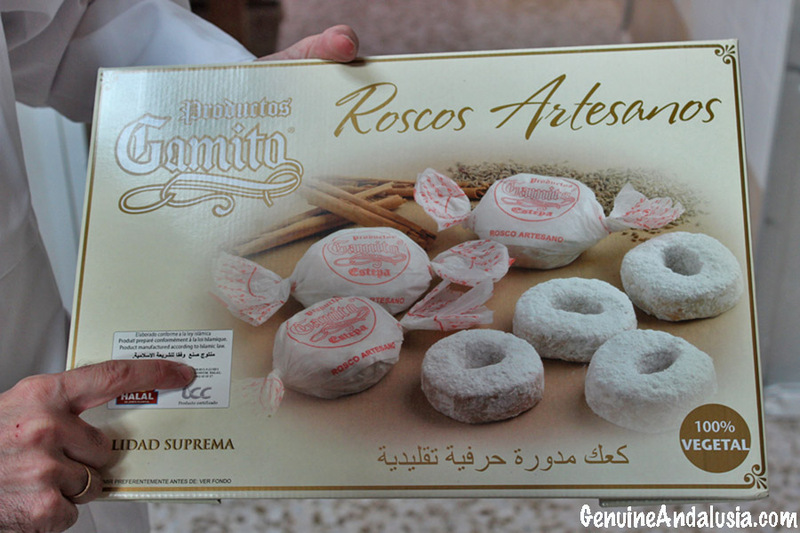 Spain: Andalusian Christmas sweets go Halal! 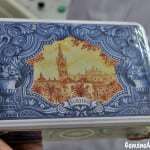 You are here: Home » G-20 News » EU » Spain: Andalusian Christmas sweets go Halal! As Christmas approaches, families in Andalusia start to stock their food cupboards with some very special treats that are later shared with great joy during the festivities. Some of these foodie treats are mostly eaten during this time of year and they come from very specific areas. One of the best examples is the case of the so-called “mantecados”, which are mainly produced in the quaint little town of Estepa. This whitewashed monumental gem sits on top of a hill, surrounded by olive groves right in the center of Andalusia, the southernmost region of continental Spain. We recently went on an exploration journey to Estepa, to learn the secrets behind mantecados. We knew we would enjoy ourselves very much because we are big fans of these local delicacies. However, we didn’t expect to find such a charming local industry there. In Estepa, traditions, self sufficiency, innovation and new market perspectives are helping to maintain the town’s economy, character, identity… and aroma! Can you imagine arriving to a town where the air is filled with a lovely scent of cinnamon and roasted almonds? Yes! That’s the case of Estepa, where there are about 30 different factories of mantecados today. Mantecados are basically a baked mixture of toasted wheat flour, sugar, pork lard, cinnamon and roasted almonds. There are different varieties depending on the extra ingredients that may be added, like cocoa, lemon peel or sesame seeds for example. Mantecados have been popular amongst Estepeños for many centuries. However, they didn’t start to be known and sold beyond the limits of Estepa until the late 19th century. It was back then when their popularity began to spread. This shaped a very basic artisan industry in the town, with tiny little factories located in families’ garages. As the demand of mantecados increased all over Spain during the 20th century, these family-run businesses had to grow. This slowly resulted in the solid industry of mantecados that Estepa has today. Nowadays the factories are not so small anymore, but they still follow traditional recipes. Most of these factories are still family-owned and family-run and many of the machines they feature have been made in Estepa too! We were very lucky to be welcomed and shown around their factory, by the Gamito family. Their company is called (Gamito Sweets) and they produce some of the most delicious and freshest mantecados in Estepa. This is because they only produce them on demand. Visiting their premises felt like being in someone’s house. The warmth of the ovens, the aromas of toasted flour and roasted almonds, the smiles and kindness of the workers (who wouldn’t stop offering us freshly baked mantecados all the time) and the beautiful packaging of their produce, allowed us to feel the cozyness of a home in a small factory. This homey taste is also present in their mantecados which are made with the best quality ingredients (they only use iberian pork lard for example) and follow family recipes. Up to 60 people work in Dulces Gamito from September to December. During these months, the factory is in full production in order to cover the Christmas demand, coming mostly from Spain. However, Dulces Gamito has started to adapt its sweets to different markets, in which they are not conceived as seasonal produce. This is now helping to keep the factory also open from January to August and with a staff of 10-15 people. The most interesting example of adaptation of their produce to new markets is the case of their Halal sweets. By substituting pork lard for olive oil (also from Estepa), they have created a whole new range of Halal products. Nowadays these are being exported to Muslim countries like Morocco and to other countries with large Muslim communities such as France, Belgium, Holland and Germany. Every year, Dulces Gamito gets certified by the Halal Institute in Córdoba so that their Halal sweets can proudly show the Halal certification in their packaging. Small local businesses, culture exchanges, good food and openness to new perspectives are concepts for which we have a weakness. So we couldn’t help falling in love with Estepa and with its most representative traditional industry.